What Science has to say about Pranayama. I remember well the first Yoga class I attended. It was at a YMCA and I went for the purpose of staying in shape and increasing flexibility. 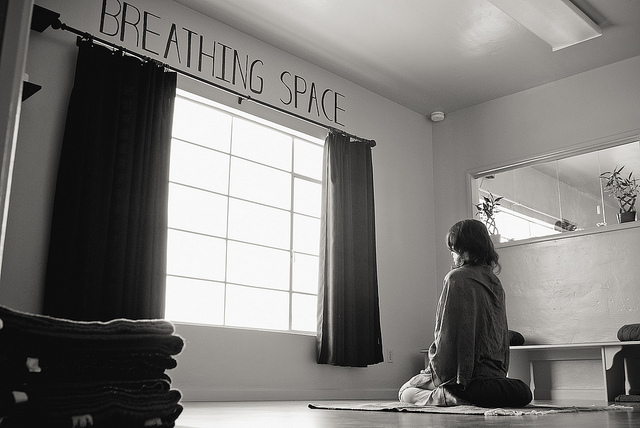 It all started out innocently enough…until pranayama. I could feel my woo-woo sensors lighting up as the teacher told us to make sounds like a snake on the exhale. Then there was a strange practice of closing alternate nostrils. For this Southern girl, it would be a while before she returned to class. Fast forward a few years and an intense Sivananda Yoga Teacher Training in India, I fell in love with pranayama. The experience of daily anuloma viloma and kapalabhati practices gave me the sense of feeling cleansed from top to bottom. I felt clear, calm, energized, and focused. Meditation after these practices was ideal as my mind was already settled. I continued these practices on my own, but with a fresh memory of my first exposure, I only shared breathwork with students who seemed ready. Some lineages restrict pranayama to advanced Yoga practitioners but, from my training, it can be completely safe if the student is ready, and after considering any contraindications. Yoga teachers learn that pranayama is one of the eight limbs of yoga in Patanjali’s Yoga Sutras—a foundation of classical yoga philosophy. Patanjali defined yoga as “the restraint of the modifications of the mind-stuff.” As such, it is easy to see why pranayama is an essential aspect of yoga yet, the plethora of available breathing practices is often reduced to simple breath awareness during asana (pose). Because of the amazing effects I’ve felt and seen in my students, and the scarcity with which it is taught in some other lineages, I began looking into recent pranayama researches. These ancient practices are receiving well-deserved recognition through research showing the effective clinical application for the treatment of numerous conditions. I found 34 studies in peer-reviewed journals, from 2009 to 2013. Some of the more interesting studies are highlighted here in hopes of encouraging fellow yoga teachers and students to incorporate pranayama into their practice. Much of what pranayama does is due to it’s affect on the autonomic nervous system (ANS). The ANS controls physical processes such as digestion, respiration, heart rate, immune function and excretion. It has two branches known as the sympathetic nervous system (fight-or-flight response) and the parasympathetic nervous system (rest and digest). Because respiration is a system within the ANS over which we have conscious control, yogic breathing practices have been successfully applied to balance other ANS functions. Brahmari, a breathing practice involving specific placement of the fingers on the face to close the eyes and mouth while producing a buzzing sound through the nose, was studied to determine its effect on brain wave activity. Oxidative stress is the burden placed on the body by free radicals due to metabolism and environmental toxins (air, food, water, etc.) and can contribute to accelerated ageing and disease. Though continued research is needed, these studies offer scientific evidence of yoga’s ancient practice of pranayama as a valid therapy to heal humans from all sorts of conditions and to improve one’s health and well-being. I hope these studies give you the confidence to begin integrating more pranayama practices into your life and the lives of your students. 8. Busch V, Magerl W, Kern U, Haas J, Hajak G, Eichhammer P. The Effect of Deep and Slow Breathing on Pain Perception, Autonomic Activity, and Mood Processing—An Experimental Study. Pain Medicine 2012; 13: 215–228. In 2000, after a decade of teaching all kinds of group fitness classes, Jessica Mollet found that her physical body was strong but very tight and she was emotionally stressed. She enrolled in a local yoga teacher training course which left her with more questions than answers so she began devouring every yoga book I could find and soon decided what she needed was an authentic, traditional yoga teacher training course—she enrolled in the Sivananda teacher training course held in Neyaar Dam, India. This experience quickly opened her eyes to the broader, holistic teachings of yoga. 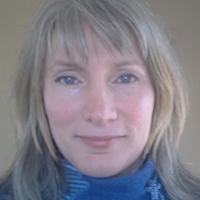 Since then she has continued her studies through Sivananda, Integral Yoga, the Himalayan Institute, Gary Kraftsow of Viniyoga and Subtle Yoga in Asheville, NC. Follow her journey on her web page.